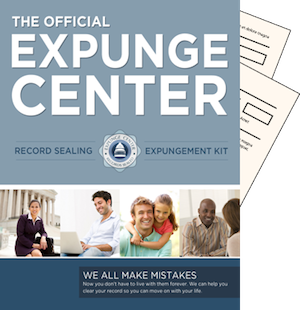 Expungement is a removal of court cases, police reports, or motor vehicle reports from the general public’s eye. The Department of Motor Vehicles will remove these reports after a three year time frame and contingent upon the other infractions and the time that has passed since your last conviction they may be deleted as well. This is based upon if you have had any other traffic violations or other charges resulting in a conviction or been assigned jail time. When a person is brought in for a police interrogation or if you were made to stay at the police station and you were never charged with a crime, the records will be removed in 60 days from the date you were brought in. This is the policy that was enforced on October 1st, 2013. If in fact you have been brought to the police station before 10/1/2007, you will need to ask for an Investigative Release Form from the police station. In the state of Maryland, court documents will not be removed automatically. A person must file a petition or motion along with a typed court order for the judge assigned to sign. You must also give the clerk a postage paid stamped envelope. However, if you have printed the forms from the courthouse or the clerk of the court has given them to you, you can just fill them out and the judge will sign this for you. You will also have to pay a court fee for this proceeding. The petition will remove court records for only certain criminal offenses and they are as follows: 1) Not guilty; 2)Guilty of only certain crimes of nuisance; 3)Dismissal of all charges; 4) Probation was entered before judgment; 5)Your case was long and drawn out; 6) The case was compromised by some sort; 7) convicted of just one non-violent offense or criminal charge and you were granted a full unconditional pardon by the Governor of Maryland. A person may file for an expunge record in Maryland at many varied time frames. This is based upon what crime(s) you have committed and what type of chargers were in fact entered by the court. Maryland Expungement differs from many other states. A person is not entitled for expunge record in Maryland if they are found guilty in a case for any other reason besides certain nuisance crimes, probation was assigned or given before judgment was entered by the judge and the court, you were charged with a civil crime to relinquish the criminal charge filed against you or if you were charged with a domestic violence offense which is a civil proceeding and not covered under the Maryland Expungement laws. A person can suffer serious consequences for having a criminal history. They will have difficulty getting employment with a good company, they will have difficulty getting an apartment or a bank loan,life insurance as well as other problems. It would be beneficial for a person to try and get their criminal history removed if at all possible.